1958 was a banner year for nuclear weapons testing by the U.S., with a total of 77 U.S. tests, more than the three previous record setting years combined. This burst of testing activity was partly due to building pressure for an imminent test moratorium, leading the weapons labs to rush as many device types to the test range as possible, and partly due to the accelerating momentum of the arms race of the 1950s hitting full stride. 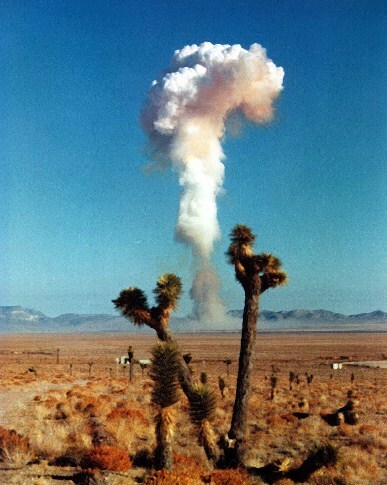 1958 was exceeded only by the 96 tests in 1962, sandwiched as it was between a testing moratorium followed by a surprise moratorium breakout by the Soviet Union in 1961, and the imminent prospect of a permanent atmospheric testing ban. Hardtack II included 37 tests, the largest test series so far, exceeding the 35 tests of the just completed Hardtack I. Hardtack I had focused primarily on high yield proof or developemental tests of complete thermonuclear weapons, which necessitated it be conducted in the distant Pacific (a total of 35.6 Mt being fired). 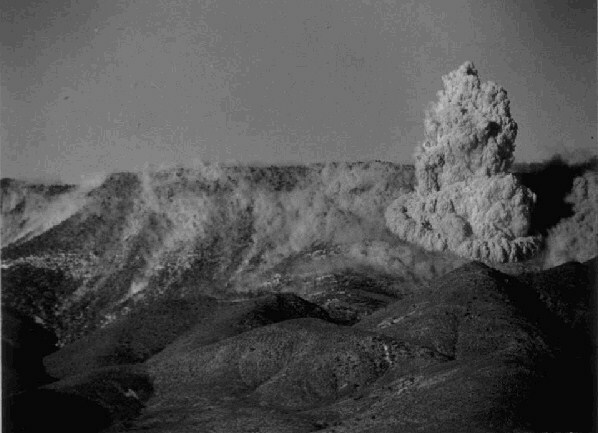 In contrast, Hardtack II consisted exclusively of low yield tests, many of them attempted zero-yield one-point safety tests, which could be conducted in relative safety in Nevada (some were underground). Only 45.8 kt total was fired in Hardtack II, and of this only 18.5 kt was fired above ground. 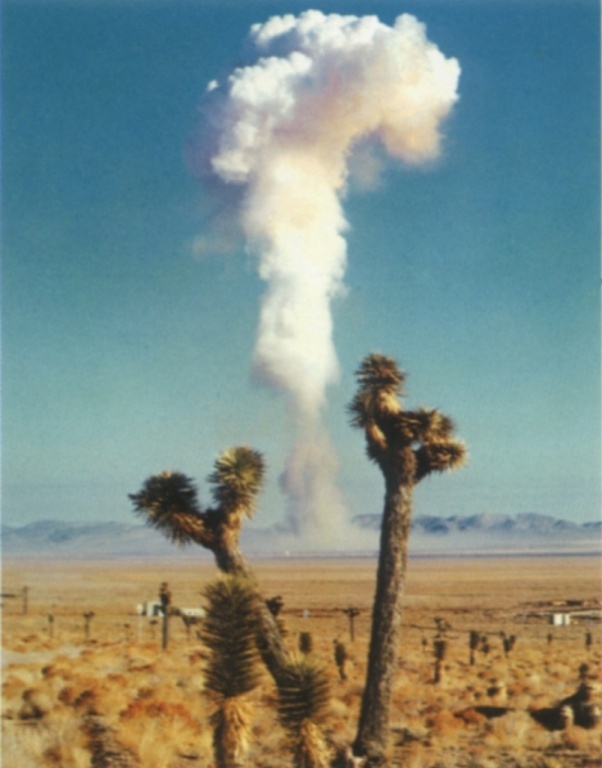 This was a dramatic turnaround from the previous Nevada test series, Plumbbob, in which the above ground Hood shot by itself was 74 kt. Concern about the effects of fallout on the U.S. was certainly making itself felt. Most of the tests were efforts to prove the safety and effectiveness of new "sealed pit" fission primaries and tactical weapons. This task proved extremely difficult, caught between the Scylla of safety (ensuring that accidental detonation of the explosive could not create even a small nuclear yield) and the Charybdis of effectiveness (ensuring that the weapon reached its design yield). Effective designs often proved unsafe, and modifications made to achieve safety often led to fizzles. As a result, despite the large number of tests, only a fairly small number of application systems were actually under development. For example, at least 10 shots were conducted to verify the safety and effectiveness of a primary for the XW-54 warhead. No more than 7 design types account for at least 29 of the tests. This series included tests of what is probably the lightest nuclear system feasible - the XW-51 Davy Crockett warhead - weighing only 16 kg in its tested form. The Los Alamos (LASL) shots had names taken from New Mexico counties. The Livermore (UCRL) shots had names of North American mountains, Roman gods and goddesses, and the fairies of A Mid-Summer Night's Dream. 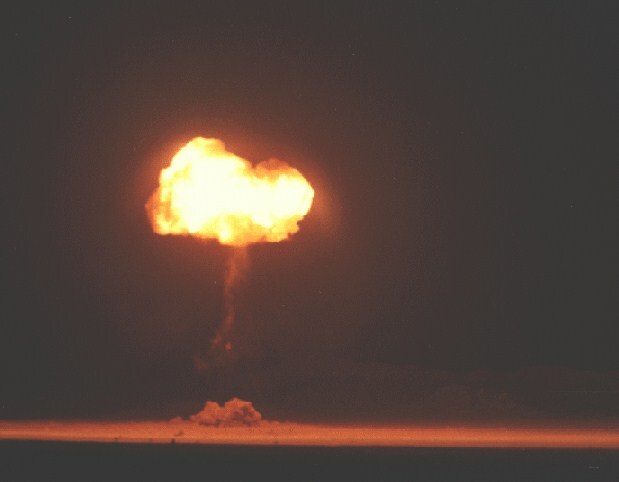 The world's first underground nuclear test had been fired in the previous NTS series (Plumbbob Ranier), and this series introduced underground testing as a routine procedure. The intention was to reduce the fallout effects of the testing, which were raising great concern, but the "underground" testing procedures were still relatively primitive. Many of these shots were conducted in "unstemmed" holes, that is, holes not back-filled and sealed prior to testing. These shots were called "roman candles" since the incandescent gas from the fireball was ejected as a jet from the mouth of the shaft. Obviously fallout containment was much less than perfect, but most of the fission product was nonetheless deposited in the shaft instead of escaping, and the radiation that did escape was not lofted so that it could travel far downwind. 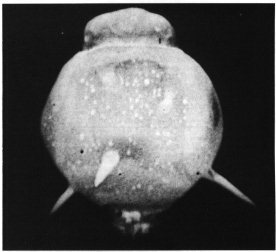 Hardtack Phase II still released some 3,140 kilocuries of radioiodine (I-131) into the atmosphere (about equal to the Trinity test), only ~5% as much as the previous test series (Plumbbob). This radiation also did not nearly spread as far, only about one-millionth as much radiation exposure occurred to civilians. The total civilian radiation exposures was a mere 160 person-rads of thyroid tissue exposure. The odds are about 20-1 against this producing even one additional cancer case. Chart of fallout exposures from "Hardtack Phase II". From National Cancer Institute Study Estimating Thyroid Doses of I-131 Received by Americans From Nevada Atmospheric Nuclear Bomb Test, 1997. To go to the National Cancer Institute and get the full report. This was a fizzled attempt to fire the LASL designed XW-54 primary at full yield. One of many (at least ten) shots that attempted to verify safety and effectiveness of this device in several variants (not even counting at least two safety shots - Pascal A and B - attempted in Plumbbob). This was probably a version of the Gnat device, and was similar to devices fired in Hardtack II Otero, Bernalillo, Luna, Mora, Colfax, etc. Device dimensions: 11.7 inches in diameter, 15 inches long, weight 63 lb. In the picture below, spikes can be seen propagating down the mooring cables of the balloon. These were termed "rope tricks" by Dr. John Malik, and are caused by thermal energy from the fireball surface vaporizing the cables. Finally a successful full yield test of the XW-54 primary! Predicted yield was 5-9 kt. Similar to the Lea device. Device dimensions: 11.7 inches in diameter, 15 inches long, weight 58.1 lb. Another attempt at firing a full yield version of the XW-54/Gnat system puts in a disappointing showing. Similar to the Catron and Mora devices the 2.2 kt yield was below predictions. Device dimensions: 11.3 inches in diameter, 15 inches long, weight 66 lb. Similar to devices fired in many of the preceding Hardtack II shots. Based on device characteristics - 11.3 inches in diameter, 15 inches long, weight 57.3 lb. - it was probably another XW-54/Gnat attempt. Yield below predictions. UCRL test of an alternate W-47 primary in a thermonuclear system mockup. This shot was successful, the predicted yield was 20 kt. Similar to Hardtack II Evans. The device was 18 inches in diameter, 45.5 inches long, and weighed 717.6 lb. 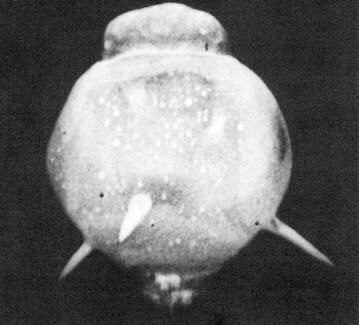 Although it was fired in an underground tunnel, the shot still vented radioactive material into the atmosphere (visible in the picture below).